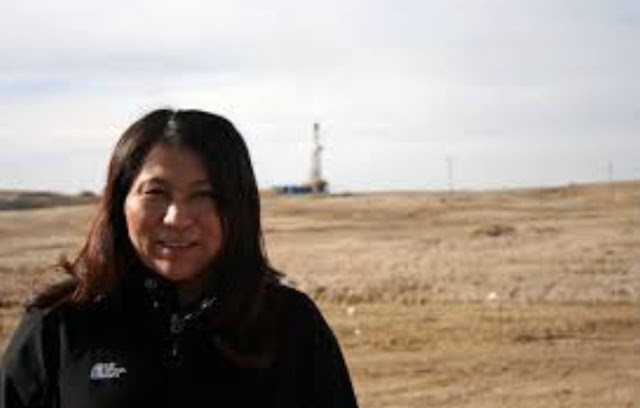 Morton County Judge just dismissed charge against Amy Goodman. The judge said there was no probable cause to charge Goodman with the riot charge. 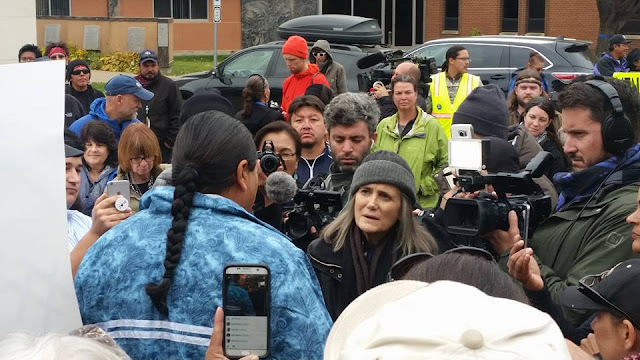 Speaking live outside the courthouse, Goodman encouraged the Native American media, and local media, to contiune their vital coverage, and urged the national media to be present and cover this important breaking news story at Standing Rock. 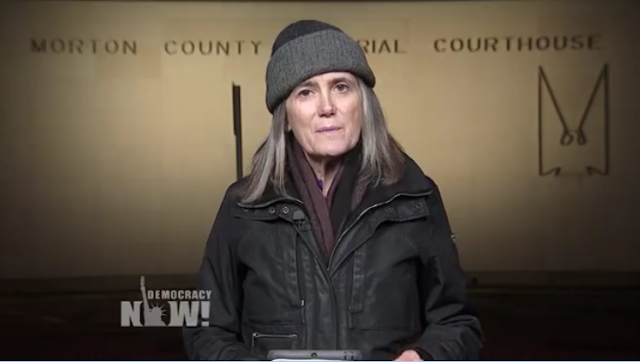 Democracy Now's Amy Goodman is in Morton County today, ready to turn herself in for her coverage of the day when vicious dogs attacked Standing Rock water protectors, who were defending a burial place from bulldozers of Dakota Access Pipeline. Goodman was first charged with criminal trespass, then as she was flying in, it was changed to a riot charge. She is scheduled to be arraigned today at 1:30 p.m,, Monday, Oct. 17, 2016. Thank you so much for covering this.I was looking TO FIND live coverage.thank you so much.We had a Russellvile,Ar protest against Diamond Pipeline coming from Oklahoma thru Arkansas to Memphis.Arkansas Matters posted an article saying state Public Service Commission approved & that fear of spills are unfounded due to improved pipes,etc.One company is being sued for spills etc in Calif. & has the 5th worst record of all such companies. We know they are lying about many things.It is how they operate. We need more coverage on the facts. We do light brigades to bring awareness. #STP. please spread the word as you can. thank you! LOL. No offense to Amy, but she hardly looks like she's on a hell raising rampage or that she would go berserk while reporting! Rioter? Not really.